Ever since my college days, I’ve wanted to travel overseas. But for one reason or another—life, I guess—it never happened. As they do, the years passed all too quickly and one day, age 50 was staring me in the face. I realized I had lots of items on my “someday” list, but I hadn’t made steps to achieve any of them. It was time for me to take action and I made the decision to visit New Zealand once my son graduated high school and left for college. As a freelance marketing consultant, I work project-to-project—which means I don’t have a steady income. While I have multiple projects going at any given time, projects get delayed, clients pay late, or the new gig I was hoping to get doesn’t pan out. On top of that, I’m working hard to pay off debt and build a buffer—while also meeting my ongoing business and personal expenses. Saving for a big trip to New Zealand seemed downright impossible. Shortly after making travel a priority, I found YNAB. 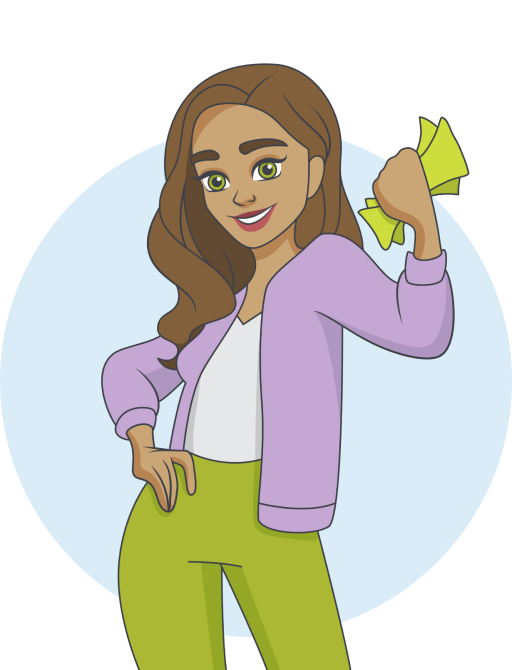 I spent time watching the webinars, taking notes, reading the forums, and by the end of the free, 34-day trial period, I could see how YNAB could help me in many ways. 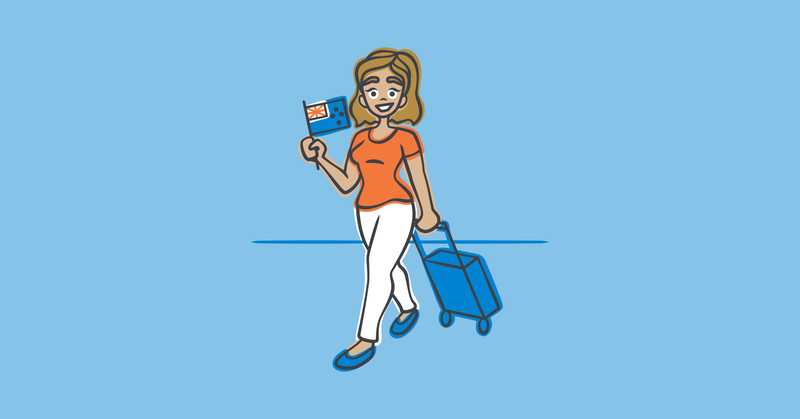 I first started by setting aside money for the airfare because it was the largest expense, and I needed to book the flight at least six months in advance. Some months I couldn’t save anything. A couple of months, I had to borrow from my NZ fund. But, I kept at it. Slowly, the money in the category grew. It took over a year, but one day, I had enough money to purchase my ticket! In addition to the airfare, I knew I would need to save for hotel costs, car rental, etc. I also needed a passport and to arrange for pet sitting for my two dogs. As I added up costs, my head started to swim and I kept thinking, “I’ll never be able to afford this.” But that’s where I’d gotten stuck in the past, so this time, I took a step that, for me, was very, very uncomfortable: I asked for help. I asked a friend if I could stay at her house while visiting. She and her husband graciously gave me their spare room and welcomed me into their family. I asked a family member to take care of my dogs and another friend to drive me back and forth from the airport. And a friend who travels extensively gave me wonderful advice: she said I didn’t need a larger suitcase because of flight restrictions and, NZ, being a casual place, didn’t require new clothes. That knocked two more expenses off my list. Once in NZ, I made the decision to not rent a car (due more to fear of driving on the opposite side of the road than to save money!) and instead took public transit. I’d sit on the bus packed with commuters in the morning or evening and simply soak in being part of everyday NZ life. I scoured the travel guides for inexpensive things to do. I sat in a courtyard in downtown Auckland and ate chocolates while people watching. I took a ferry and then hiked up Rangatoto, a 600-year old inactive volcano. I found the first Jewish synagogue. I walked from one side of NZ to the other on the Coast-to-Coast Walk. I had high tea at a swanky hotel. I did a full tour of the Maritime Museum and looked in awe at the America’s Cup yacht. And, I took Rachel and her husband out for dinner. In fact, I did so well tracking things that I actually came home with a small amount of money left in my NZ category. Woohoo! Making this trip was a dream come true for me and meeting my goal of paying for it with cash using YNAB was the icing on the cake. Now that I’m itching to do another trip, the one thing I’d do differently is save for the trip and a two-month cash cushion. I’d want enough money to pre-pay one month of personal/business expenses before leaving and once I returned, to tide me over until cash began flowing again. This experience changed me. And now, it’s very clear what I should do with my son’s empty room— why a spare bedroom, inviting and open to fellow travelers, of course. Dianna Huff is a marketing consultant and the author of Cash Flow for Freelancers, a practical guide for riding the highs and lows of variable income with less gut-wrenching uncertainty.